BURBANK, Calif. (Jan. 16, 2019) — Walt Disney Animation Studios’ “Ralph Breaks the Internet,” the animated adventure featuring video-game bad guy Ralph (voice of John C. Reilly) and fellow misfit Vanellope von Schweetz (voice of Sarah Silverman), raced to No. 1 opening weekend (the second biggest Thanksgiving opening of all time), winning the top spot at the domestic box office for three consistent weeks and grossing more than $435.1 million to date. 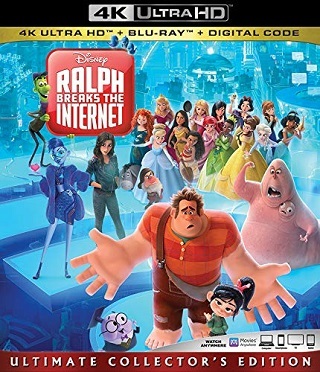 In the hilarious, highspeed sequel to 2012’s Oscar®-nominated “Wreck-It Ralph,” the besties risk it all by traveling to the expansive, fast-paced world of the internet in an action-packed attempt to save Vanellope’s game Sugar Rush. 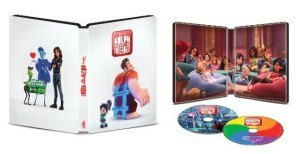 “Ralph Breaks the Internet” is available instantly on Digital 4K Ultra HD™/HD/SD and Movies Anywhere Feb. 12 and physically on Blu-ray and DVD Feb. 26.